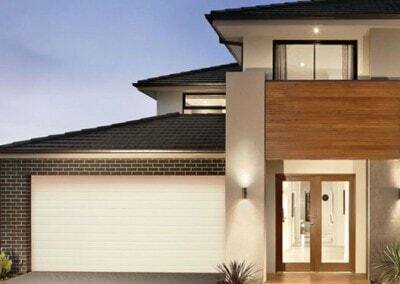 Make a bold impression with the attractive range of Steel-Line sectional garage doors. 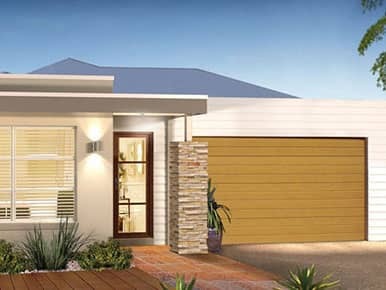 Enhance the exterior of your home with a garage door that will complement any style of architecture with a range of garage door styles to suit the unique characteristics of your home. Make a bold impression by selecting an attractive sectional garage door from Steel-Line. Thanks to our wide and diverse range, you can effortlessly enhance the exterior aesthetics of your home. We have a sectional door to complement any style of architecture your home might have. This allows you to choose an option that blends in seamlessly with your outdoor décor or accentuates the unique characteristics of your home. 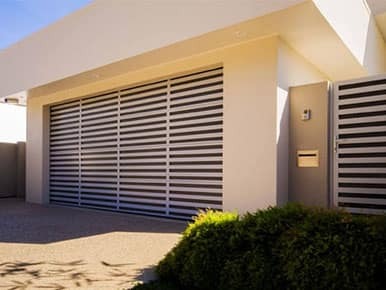 Most Australian sectional garage doors can be automated for your convenience, which makes our products even more practical for the modern Aussie household. Finger Proof Safety – The unique award-winning design not only safeguards your family against serious injury, it seals out elements that can penetrate conventional garage doors. Auto Reverse System – The door will automatically stop and reverse if it touches an object. Photo Eye (Optional) – The door is equipped with an electronic that senses any obstructions and reverses accordingly before contact is made. Heavy Duty Bottom Rail – Every Steel-Line sectional garage door is fitted with a sturdy heavy duty bottom rail to increase strength in the lower part of the garage door. A tough and durable weather seal is added to the bottom rail for extra protection from the elements. Strong and Quiet Hinges – To help your garage door run as smoothly and quietly as possible, we also use hinges made of specially designed composite materials such as nylon for trouble-free operation. All of our sectional door sprints are designed to last more than 20,000 door cycles. To discuss the possibilities with an expert and arrange a free measure and quote, please get in touch with our friendly team today. Our DecoWood® garage doors combine the fantastic feel and appearance of timber with the strength of Australian BlueScope Steel, providing you with a product that looks amazing while reliably protecting your home. Find out more. 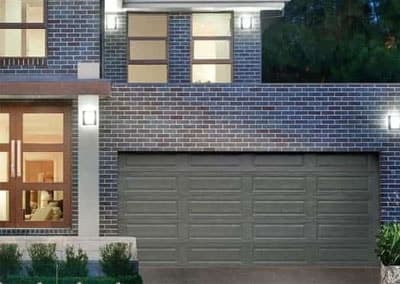 Italian design and innovation meets the durability of Australian BlueScope Steel in our revolutionary and beautiful range of DecoVogue® garage doors, giving homeowners the perfect harmony of good looks and flawless functionality. Find out more. A stylish Colorbond® garage door isn’t just a pleasure to come home to; it’s also an investment that will enhance the value and security of your property for many years to come. Find out more. 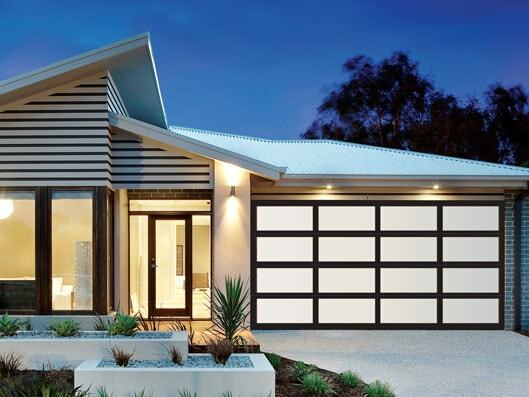 The Savannah garage door is made from BlueScope Steel G300 coil, so it delivers a far smoother finish that is virtually free of blemishes and shadow. Find out more. Browse our stunning product range, and be inspired! 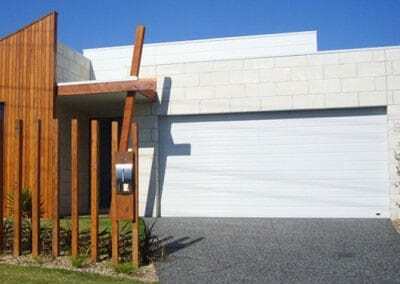 In a country like Australia, where weather is often unpredictable and sometimes extreme, the weather resistance of a garage door is crucial. Our sectional garage doors check this box and then some – they have excellent wind and dust resilience as well as durable PVC weather seals and heavy-duty bottom rails made from aluminium. So whether your garage is home to your car or your collection of valuables, you can rely on a Steel-Line sectional door to keep your precious possessions protected. Each design is well suited to a variety of architectural styles, giving you the freedom to choose a door that matches your unique tastes and preferences. At Steel-Line, we also understand the importance of colour-matching when buying a new door for your garage. This is why we offer a comprehensive selection of Dulux and Colorbond colours to choose from for all of our sectional doors. We can even complete your door with a custom wood-grain finish if this is the look you are after. • Finger Proof Safety – The unique award-winning design not only safeguards your family against serious injury, it seals out elements that can penetrate conventional garage doors. • Auto Reverse System – The door will automatically stop and reverse if it touches an object. • Photo Eye (Optional) – The door is equipped with an electronic beam that senses any obstructions and reverses accordingly before contact is made. • Heavy Duty Bottom Rail – Every Steel-Line sectional garage door is fitted with a sturdy heavy duty bottom rail to increase strength in the lower part of the garage door. A tough and durable weather seal is added to the bottom rail for extra protection from the elements. • Strong and Quiet Hinges – To help your garage door run as smoothly and quietly as possible, we also use hinges made of specially designed composite materials such as nylon for trouble free operation. 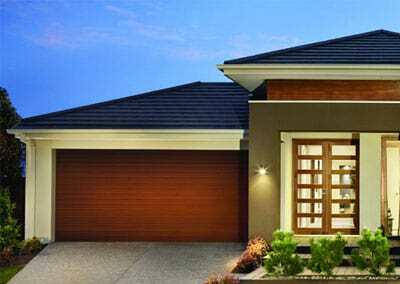 • Size and design – The width, height, and design details of your garage door will factor into the overall cost. • Colour – We offer a huge selection of colours featuring the Colorbond and Dulux range and powder-coated options. Your preferred colour will affect the price of your sectional garage door. • Environment – If you live near the coast or in an area where bushfires or cyclones are common, you may need a tougher material and design. This will play a part in determining how much your garage door costs. 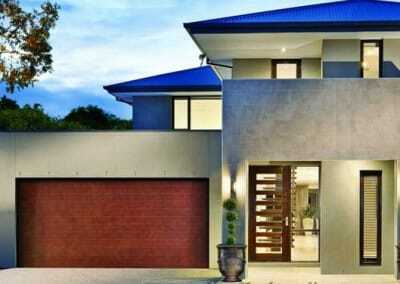 • Material – The cost of a sectional garage door depends heavily on which material it is made of. We offer stylish materials including steel, aluminium, acrylic and timber etc. • Garage door opener – Including a garage remote will add the cost of your door. • Additional accessories – Our huge range of convenient accessories, including handles, keypads, insulation, windows and photo eye sensors, can all contribute to the price of your door. Whatever your needs, with Steel-Line you can expect quality products at competitive prices. Contact our friendly team for a free customised measure and quote today. Curious to learn more about our range? Please contact us for more information. Our friendly staff are available to talk on 1300 767 900.